Free event, open to all. 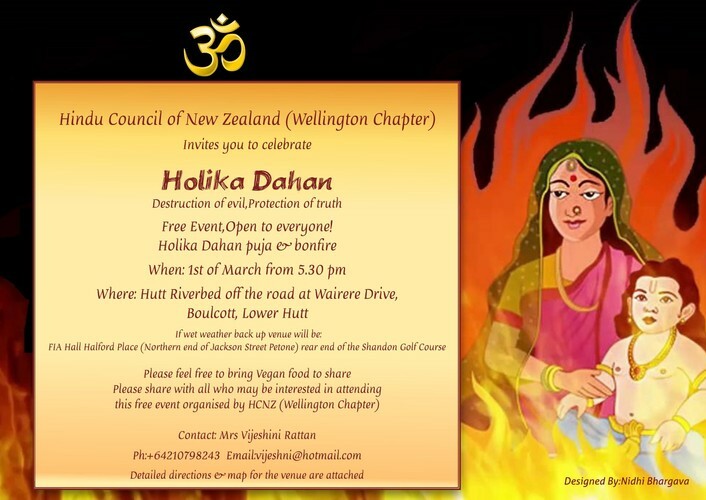 This event is to celebrate the festival of Holika Dahan (Destruction of evil, Protection of Truth). 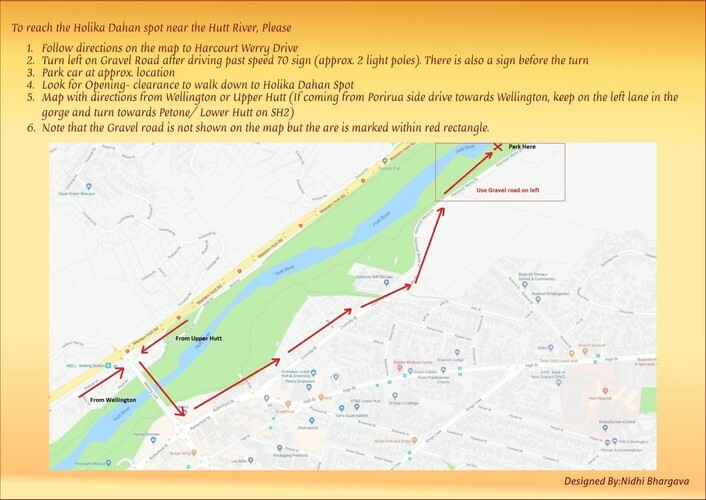 In the event of wet weather, back up venue will be at the FIA Hall, Halford Place, Norhtern end of Jackson Street, Petone (rear end of the Shandon Golf Course).